The BMW 3 Series Saloon 320d Sport was awarded the overall title of ‘Best Executive Car’. The BMW 5 Series gained the title of ‘Best Luxury Car’. This is the third year in a row that the BMW 5 Series saloon has been awarded this accolade at the What Car? Car of the Year Awards. What Car? commented: “Virtually any new BMW carried with it a huge weight of expectation, but even then, few are weighed down quite so heavily as a new BMW 3 Series. “But boy oh boy, has this last one delivered. It has seen off the Audi A4 and Mercedes C-Class in its price point - a huge achievement - as well as usurped the Jaguar XE as the best-handling car in the class”. High praise indeed! You can see more of the BMW 3 Series on our website. The fact that the BMW 5 Series has held on to its crown for three consecutive years is truly impressive. 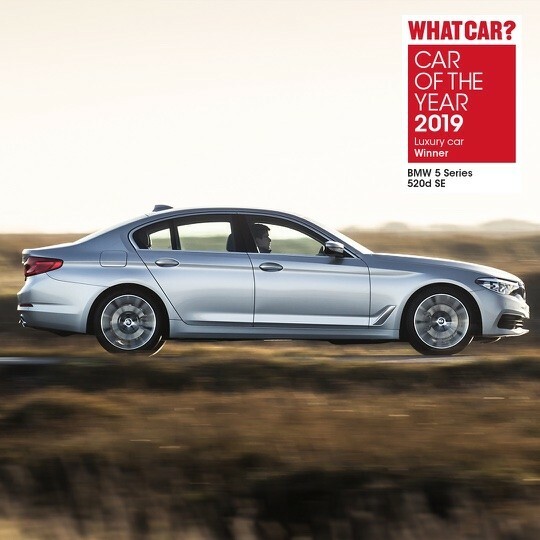 The award givers said, “Our 2017 overall Car of the Year, the BMW 5 Series, is still impressing, a full two years on from that success, and that’s despite some serious new competition being available”. They added, “The 5 Series is just as good in so many ways and we can find no area in which it drops the ball”. There’s no sign that any luxury car for under £40,000 is likely to surpass the BMW 5 Series any time soon. You can see more of the BMW 5 Series on our website. In addition to these two admirable wins, BMW cars were also commended in five other categories. 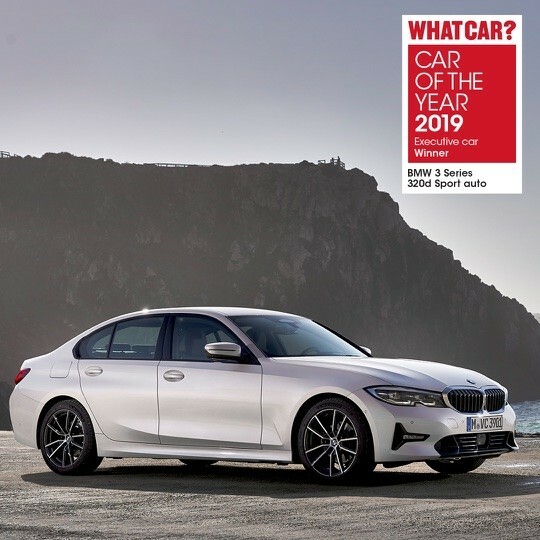 The BMW 2 Series 218i Sport, BMW 5 Series 530e SE, BMW 5 Series Touring 520d SE, BMW 6 Series Gran Turismo 630d SE and the BMW X3 M40i each earned a ‘Best Buy’ stamp of approval in their respective classes.